arcilla (clay). Oil, acrylic, mutton cloth. 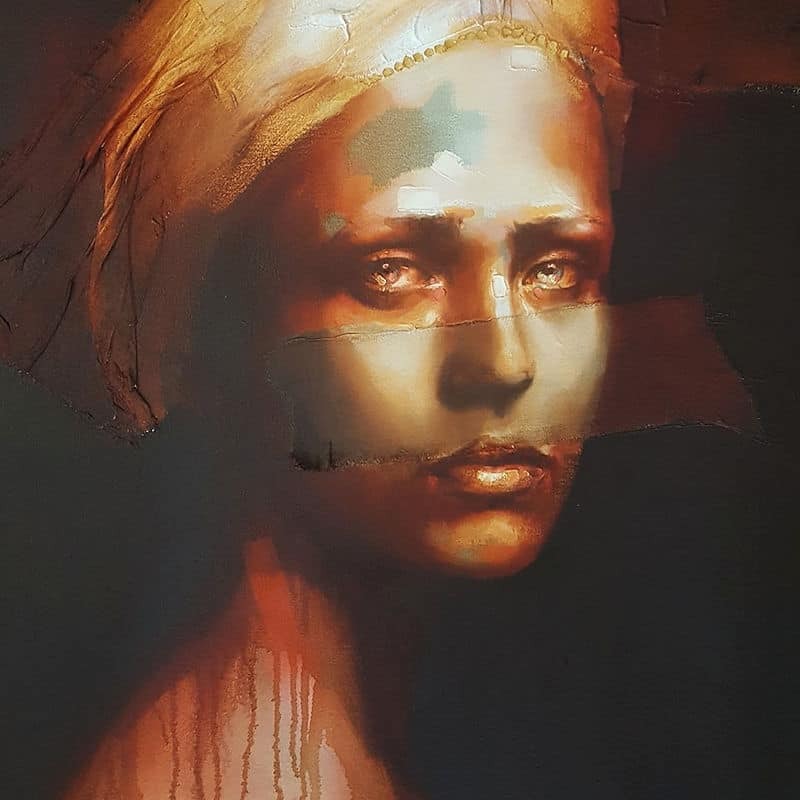 Contemporary expressionist painter Solly Smook explores concepts relating to the uniqueness of emotion and the importance of it in our spiritual lives. His process in creating art attempts to rethink the conventions of portrait painting through a continued pursuit of the more contemporary, with a goal to create works that engage with matters beyond what is immediately visible. Solly was born in Namibia and studied graphic design. Starting his career making surrealist landscape paintings, he progressed to a more contemporary style, with portraiture as his focus, a decision that significantly shaped the success of his career. He has more than 50 successful group and solo exhibitions under his belt, and his work hangs in private collections all over the world.